If a person suffers a loss or damage due to professional negligence of the auditor, an action can be initiated by such person against the auditor. Moreover, it is known that a report of an auditor, issued by him is considered to be that of an ‘expert’. that he is not competent to make the statement and that he had reasonable ground to believe at the time of registration of prospectus and / or up to the allotment of shares or debentures, that the statement made by him is untrue. The auditor is liable for such loss or damages suffered by the person who has relied upon his statement. The term ‘Misfeasance‘ means ‘breach of duty or trust‘. 1. If a company has suffered any loss or damage due to negligence or misfeasance on the part of the auditor, direct action can be taken by the company, against him under law of contract. 2. Action can be taken even during the course of winding up of the company. Such action can be taken within 6 years from the date of order of winding up or from the first appointment of the liquidator. The liability may be civil or criminal. 3. If the auditor appeals to the court, claiming that he was reasonable and honest in performing his duties, the court may relieve him totally or partially from such liability with or without any condition. 4. The auditor may also apply to court to grant relief against any proceedings that might be brought against him, relating to negligence or misfeasance or breach of trust. The court is competent to grant relief. 5. 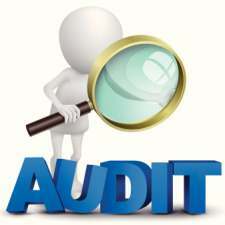 Action can be brought against the auditor only if his negligence has resulted in any loss or damage to the company. 6. No contract with the company or provision in the Articles of Association can indemnify the auditor against any liability on account of negligence, misfeasance or breach of trust. 7. However, if the court acquits or discharges the auditor from such liability (civil or criminal) and the judgement was given in favor of the auditor, the company may indemnify the auditor against any liability incurred by him, defending the proceedings.